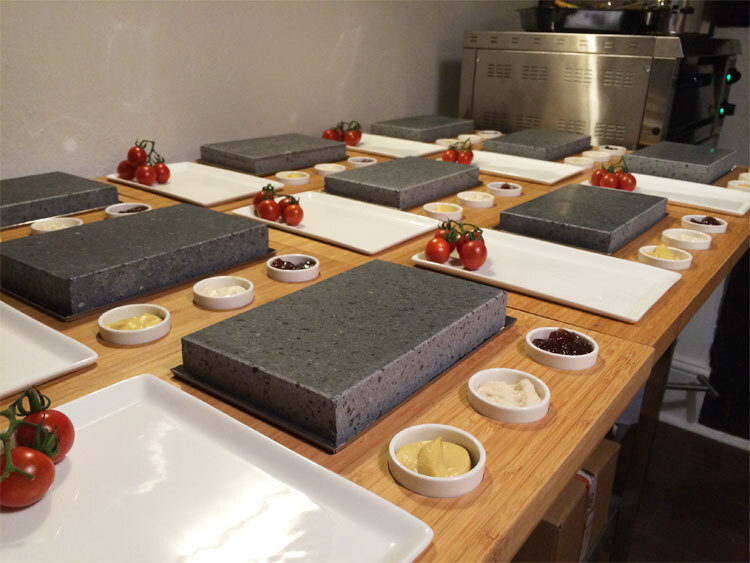 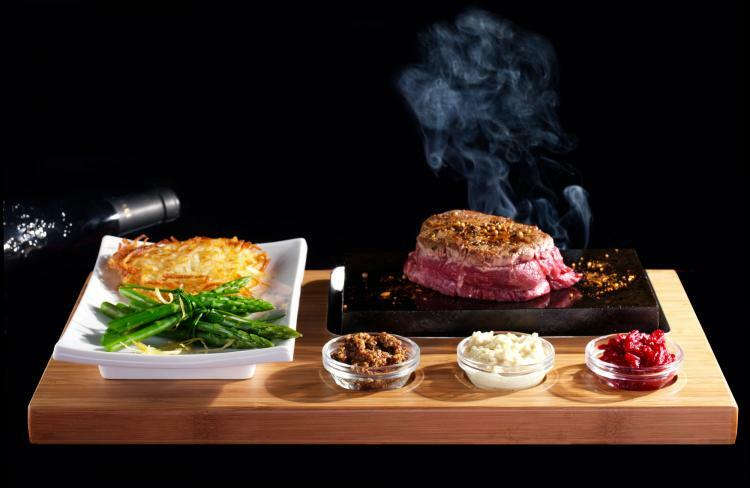 SteakStones are a set of lava stones that allow you to cook your meal right in front of you. 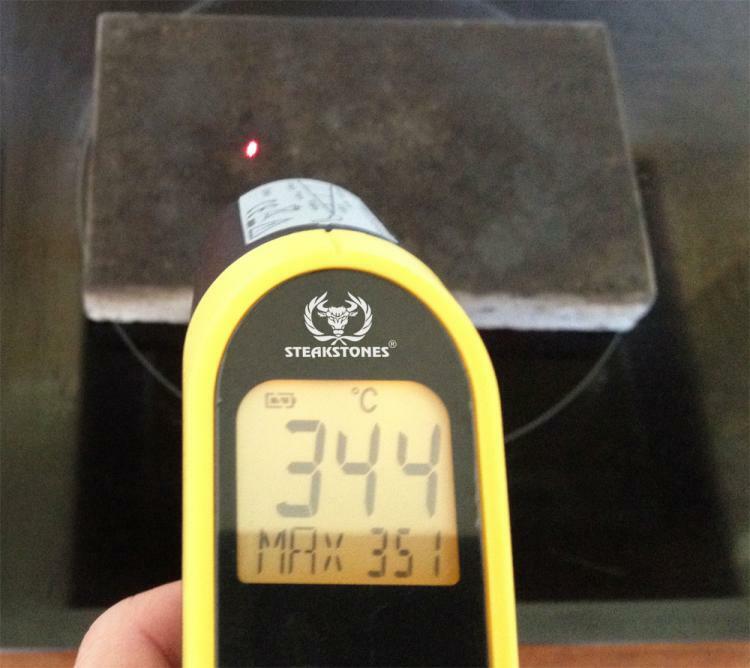 Simply place the stones in the oven to heat them up, then they will stay hot enough to prepare a steak at the table. 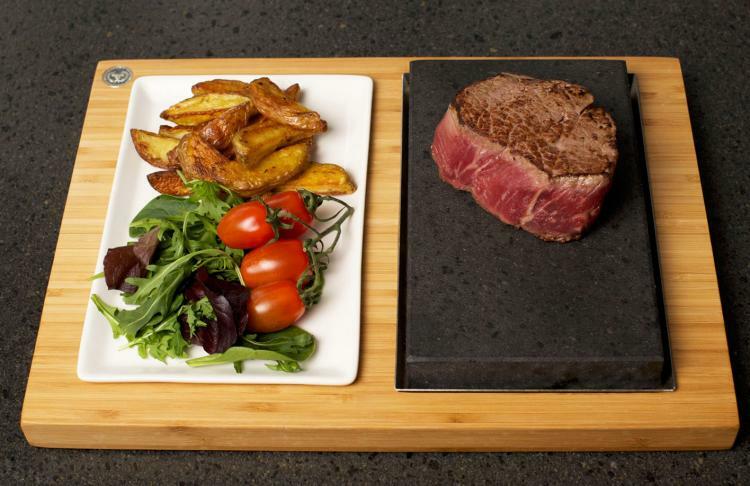 Perfect for a live cooking party with your friends or family, the Steak Stones are a fun and engaging way to have a group meal. 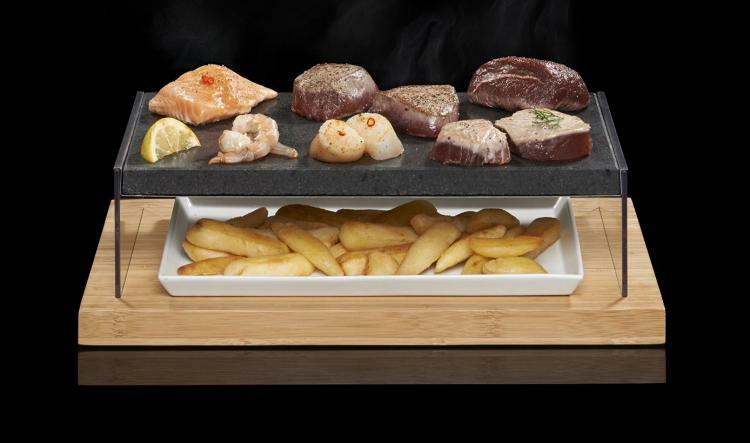 The dry heat of the Steak Stones sears in the natural flavors of the meat without the need for oils or fats, and is perfect for steaks, salmon, tuna, swordfish, or even sides like asparagus, french fries or onion rings. 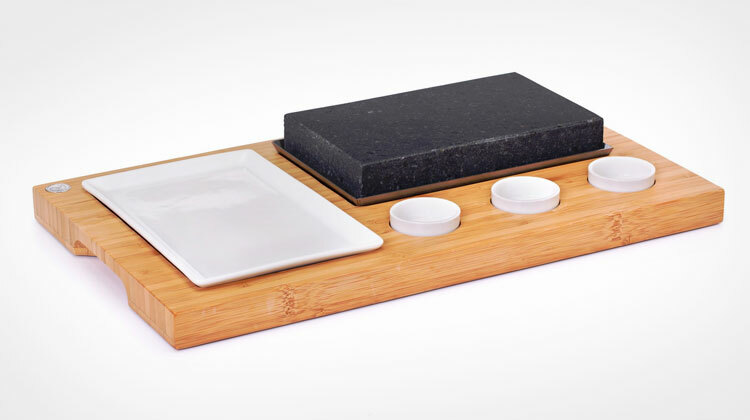 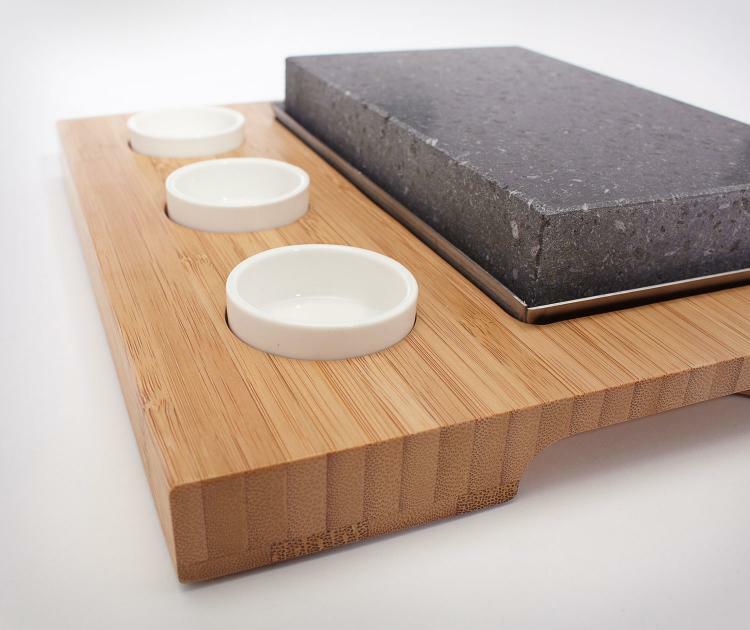 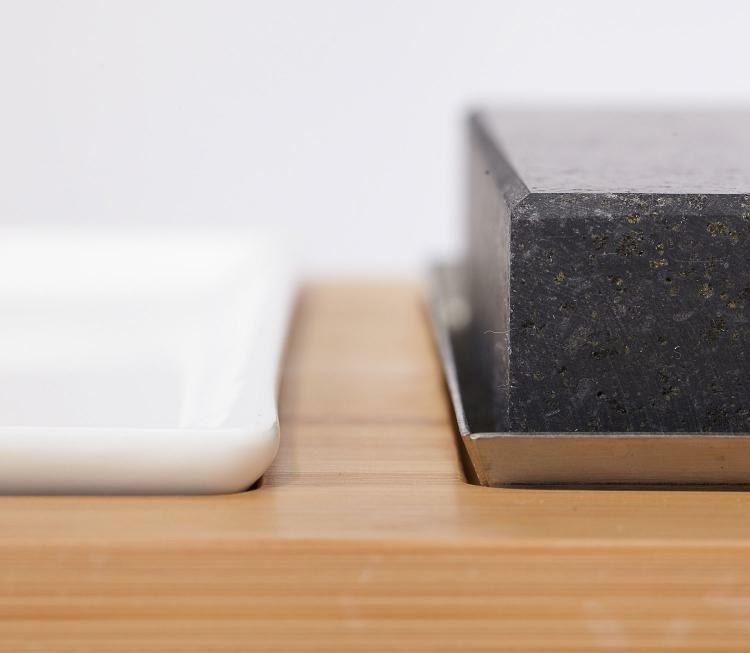 The SteakStones are sold individually, comes with a bamboo base board, one lava stone, a steel tray, one ceramic side plate, and three small ceramic bowls for dipping sauces. 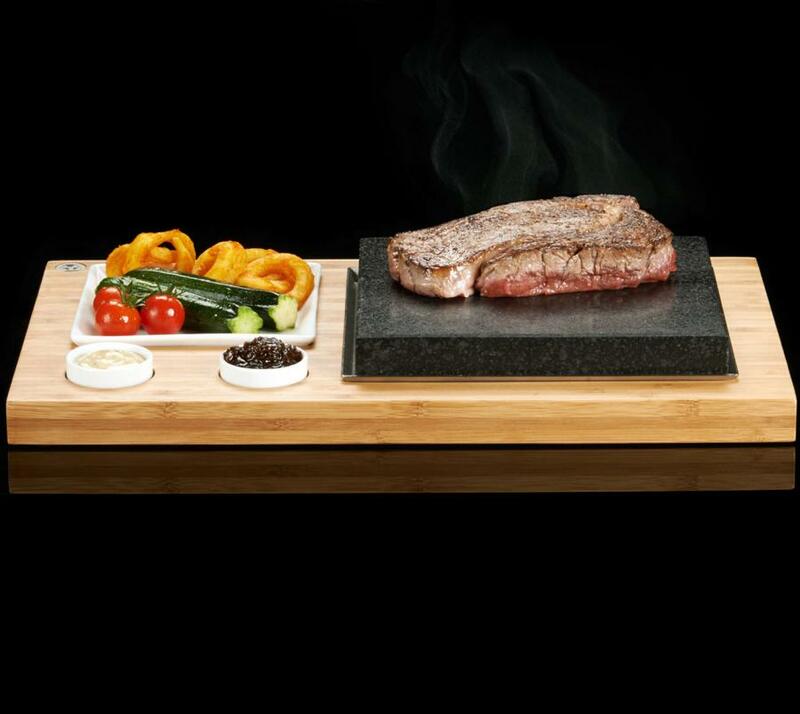 The SteakStone measures 7.8 inches wide x 4.7 inches long x 1 inch thick, and the bamboo base board measures 16.5 inches wide x 9.8 inches long, or you can look at their other products that have different sizes or even a pizza stone that actually cooks your pizza outside of the oven. 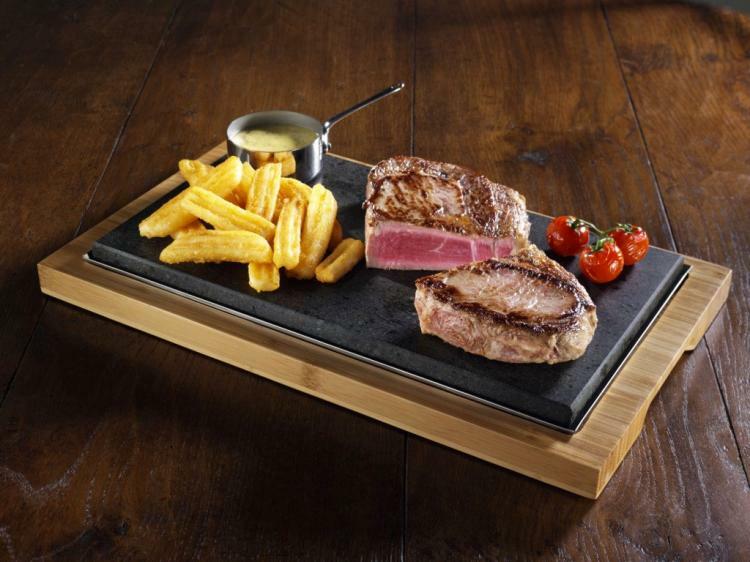 Check out the SteakStones in action via the video below.